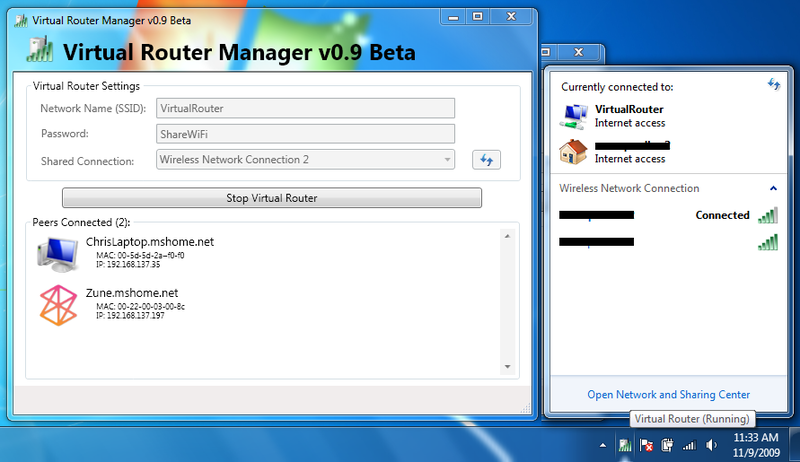 Windows 7 includes a little-known new feature called Virtual Wi-Fi, which effectively turns your PC or laptop into a software-based router. Any other Wi-Fi-enabled devices within range - a desktop, laptop, an iPod perhaps - will "see" you as a new network and, once logged on, immediately be able to share your internet connection. This will only work if your wireless adapter driver supports it, though, and not all do. Check with your adapter manufacturer and make sure you've installed the very latest drivers to give you the best chance. Once you have driver support then the easiest approach is to get a network tool that can set up virtual Wi-Fi for you. 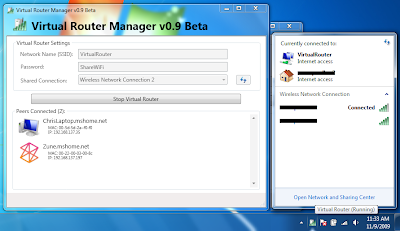 Virtual Router (below) is free, easy to use and should have you sharing your internet connection very quickly.